1) (Russell Square, London). Per pale or and ar. a wolf salient az. betw. eight crosses crosslet fitchée gu. Crest—A wolf’s head erased az. collared or, thereon a martlet sa. 2) Ar a lion ramp. sa. betw. six crosses crosslet fitchée gu. 3) (Salisbury, co. Wilts). Sa. a wolf salient betw. two cross crosslets fitchée in chief, as many in base, and two fleurs-de-lis in fess ar. Crest—A demi lion erased sa. charged on the shoulder with a chev. ar. holding in the dexter paw a tilting spear ppr. and resting the left on a cross pattée also sa. Motto—Toujours prêt. 4) (Dursley, co. Gloucester). Per pale or and ar. semée of cross crosslets fitchée gu. a wolf saliant az. Crest—A wolf’s head az. langued and erased gu. gorged with a collar or, thereon a martlet sa. This is the southwestern English patronymic/baptismal (son of) surname deriving from the ancient personal (first) name Philip. The masculine given name Phillip is ultimately derived from the Greek name Phillippos, which consists of the words philein (to love) and hippos (horse). Hence, one can literally translate the name as “lover of horses”. 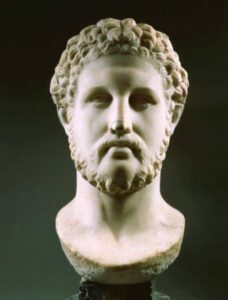 King Philip II of Macedon (359-336 BC), the father of Alexander the Great, was a famous bearer of this name. He was a member of the Argead dynasty, which traces back to 808 BC. The name was also born by five kings of France. The name entered England by way of France after the Norman Invasion of 1066 AD. Once source states the modern Phelps family first established itself in Monmouthshire, Wales. Some spelling variants or names with similar etymologies include Felps, Phelp, Phelips, Philps, Phelips, Phellps, Phelpes, Phyllyppes, Phylppes, and others. The last name Phelps ranks 598th in popularity in the United Status as of the 2000 Census. The name ranks particularly high in the following four states: Kentucky, Vermont, Indiana, Iowa, and Idaho. The surname Phelps frequency/commonness ranks as follows in the British Isles: England (1,494th), Scotland (3,510th), Wales (361st), Ireland (11,387th) and Northern Ireland (5,630th). In England, it ranks highest in counties Gloucestershire and Herefordshire. In Scotland, the surname ranks highest in Argyll. In Wales, it ranks highest in Pembrokeshire. In Ireland, it ranks highest in county Clare. The name is also present throughout the remainder English speaking world: Canada (3,996th), New Zealand (2,729th), Australia (1,674), and South Africa (7,365th). Henry Brougham Guppy’s 1890 book Homes of Family Names in Great Britain states the following in regard to this last name: “The name of Phelps is now numerous in the Wells district. It is also an old Porlock name”. Henry Phelipe was recorded in the Hundred Rolls of Norfolk in 1273 AD. Kirby’s Quest records Richard Phelip and Simon Phelip in county Somerset during the reign of King Edward III of England (1327-1377 AD). John Phelpes was recorded in 1570 AD in the Calendar Proceedings in Chancery. Charles Felpes was documented in the Register of St. Dionis Backchurch in London in 1603. Margaret Felpes was documented in the Register of Broad Chalke in Wiltshire in 1590. Richard Phelpes was recorded in the Register of the University of Oxford in 1585. An early marriage involving this surname was Philippa Phelps at St. Michael, Cornhill in 1611. The lineage or ancestry of this branch of the Phelps family tree traces back to Thomas Phelps of Dursley, county Gloucester, England, the son of Thomas Phelps who came from Wilts and died in 1647. This Thomas married Edith Williams, of the Manor of Woodmancote, and had four daughters (one married Edward Tripp) and two sons named William and Thomas. The elder son, Thomas Phelps, Esquire of Dursley, was born in 1646. He married Abigail Mayo of Tetbury, and he died in 1718. He had the following children: Mary, Margaret, Abigail (married Nathaniel Brain), and Thomas. His son Thomas Phelps, Esquire of Dursley, in 1706, married Mary, daughter of John Arundell of the Manor Woodcote, with whom he had the following issue: 1) Anne (married John Purnell of New House), 2) Mary (died 1708), 3) Abigail (married Richard Morgan of Argoid), 4) Mary (John Foyle Small of Ulcy), 5) Elizabeth (married John Blagden of Bristol), 6) Sarah (married William Garnons of St. Devereux), 7) Jane (married John Barnes of Ganncrew), and four sons. The youngest son, John Phelps, Esq. of Sursley was a Justice of the Peace. In 1733, he married Elizabeth, daughter and co-heir of William Fowler of Moor Hall, and had issue with her as follows: John de la Field, William (married Hester, daughter of Reverend Renard Bagshot of King’s Stanley), Elizabeth (married William Moore of Eperstone, Captain of the 45th Regiment), Anne (married William Vizard of Dursley in 1771), and Mary. The eldest son, John de la Field Phelps was an Esquire of Dursley who was born in 1734. He was a Justice of the Peace and also a High Sheriff of Gloucester in 1761. In 1759, he married Esther, daughter of James Gully of Bristol, and had the following children with her prior to his death in 1771: 1) John de la Filed (his heir, discussed more below), 2) James (of Dursley and of Oriel College, Rector of Aldersley, married Marianne Blagden of Hale, had children named James, William John, John Blagden, Marianne, Elizabeth Hester, Sophia), 3) William (died 1812), and Esther Sophia. His eldest son, John de la Field Phelps, was an Esquire of Dursley and of Lincoln’s Inn, Barrister-at-Law. He died in 1842 and was succeeded by his nephew, James Phelps, Esq. of Dursley, Captain of the 14th Light Dragoons. He in turn died in 1851 and was succeeded by his brother, William. 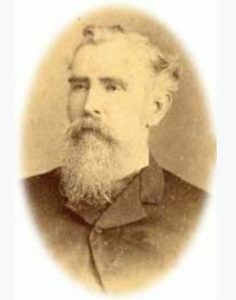 William John Phelps was an Esquire of Chestal Dursley, county Gloucester, Barrister-at-Law, Justice of the Peace, High Sheriff in 1860, was born in 1813. The Phelps family crest for this branch of the family is blazoned in the medieval art of heraldry as follows: Per pale or and argent, a wolf salient azure between semee of cross-crosslets fitchee gules. Crest: A wolf’s head azure, langued and erased gules, gorged with a collar or, thereon a marlet sable. They were seated at Chestal, Dursley in England (once part of Great Britain). The ancestor or progenitor of this family was Thomas Phelps, a scion of the Phelps family of Gloucester county. He joined the revolution of 1645 and served under Oliver Cromwell, for which he was granted sizeable estates and lands in the counties of Tipperary, Down, Kerry, Ireland. He settled in the city of Limerick. King Charles II granted him titles to those estates. He, however, put down his sword and picked up his ploughshare, becoming a disciple of George Fox, an English Dissenter who founded what we know now as the Quakers. When he was 45 years old, he married Ms. Fennell, and had issue with her. He had a direct descendant named Thomas Phelps who operated in the linen manufacturing industry. 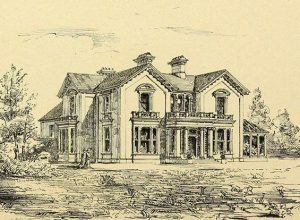 He moved his residence to his estate in county Down, married there, and had issue. His son and successor, Joseph Phelps, of Moyallon, was born in 1749. In 1769, he married Mary Christy, and had the following issue with her: Thomas (married Ms. Lloyd of county Warwick), John, Joshua, William, James, George, Samuel, Sarah, Mary (married Robert Newsom, Esq. ), Hannah (married George Robinson), and Elizabeth. He died in 1790 and was succeeded by his fifth son, James. James was born in 1782. In 1814, he married Anne Lecky of Ballykealey, and had children with her as follows: John Lecky (discussed more below), Joseph James (married Mary, daughter of Reverend James Hastings Allen), Robert Lecky (married Josephine, daughter of Colonel Petley of the Royal Army, had issue named John, Annie Valverde, and Mabel Maude), James, Elizabeth Lecky (married W.H. Harvey), Mary, Jane Hannah (married J.M. Harvey), and Lydia Matilda. He died in 1839 and was succeeded by his son John. John Lecky Phelps was an Esquire of Waterpark and Broadford, county Clare, who was born in 1815. In 1864, he married Rosetta Anne, daughter of Colonel Vandeleur, 10th Hussars, by Alice his wife, daughter of the Right Honorable John Ormsby Vandeleur, of Kilrush House, by Lady Frances Moore his wife, daughter of Charles, 1st Marquess of Drogheda, and had issue: 1) John Vandeleur (born 1866), 2) Ernest James, 3) Edgar Lecky, 4) Joseph Harold, 5) Lancelot Robert Lecky (born 1878), 6) Annie Rosalie, 7) Alice Maude, 8) Mary Frances, 9) Rosalie Emily, and 10) Ethel Vandeleur. This family was seated at Waterpark Castle, Connell, county Limerick, and Broadford, county Clare, Ireland. John Phylppes was born around 1335 AD. He had a son named Henry. Henry Phylppes was born in England around 1400 AD. He had a son named John. John Phylppes was born around 1422 AD in Nether Lyne, England. He had a son named Francis. Francis Phyllyppes was born in Stafford, England in 1460 AD. He had a son named John. Sir John Phyllyppes was born in Nether Lyne, Staffordshire around 1476 AD. He had children named John, Richard, and Francis. His son, Richard Phelps, was born in Tewkesbury, Gloucestershire, England around 1497 AD. He married Mary Tomes, in 1520, and had the following issue with her: James, Francis, Mathew, and Francis. His son, James Phelps, was born in Tewkesbury, England in 1520. He married Joan Coke and/or Joan De Tyne, and had the following children with her: William, Nicholas, Thomas, Walter, George, Anne, Alice (Hope), Edward, Keneline, Richard, Robert, and Nicholas. His son William was born in the same town in 1560 AD. He married Dorothy James and had the following issue with her: Dorothy, Mary, Thomas, Dorothy, Edward, Francis, William, James, Elizabeth (Cooper) and Richard. His son Thomas was born in Tewkesbury in 1590. He married Idee Bramley Buddard and went to Ireland. He had a son named Thomas. This son, Thomas Phelps, was born in the same town in 1623. He went to Limerick, Ireland and married twice: Susan Fennell and Anne Bradford. He had the following issue: Susannah (Bond), Thomas, John, Joseph, and Mary (Fennell). His son, Thomas Phelps of Felps, was born in Limerick, Ireland in 1644. He married Jane Sharon Reynolds in Barbados, Virgin Islands, West Indies in 1662. He died in Baltimore, Maryland. He had three children: William, Thomas, and Sarah. His son, Thomas Phelps or Felps was born in Baltimore, Maryland in 1664. He married Rosanna Anna Swift in 1710. He had a son named Aventon. Aventon Felps or Phelps was born in Baltimore County, Maryland was born in 1711. He married Rachel McLeroy and had the following issue with her: Thomas Abner, Aquilla, John, Thomas Avington, Abigail, Thomas William, and Aventon. 1) Aventon Phelps, born around 1786 in North Carolina. 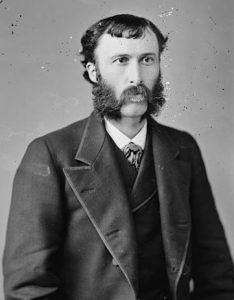 He married Katherine Hage and had issue named Alfred Oliver, Britton, and William Jefferson. 2) Aquilla Felps, born in Baltimore, Maryland in 1731. He married Sarah Jones and had a son with her named James. 3) Thomas Avington Phelps was born in Virginia in 1734. He had a son named Brittian. 4) Captain Thomas William Felps was born in Virginia in 1784. He married Jane Jean Smith and had a son with her named Brittain Felps Sr.
Brittain Felps Sr. was born in Rowan County, North Carolina around 1779. 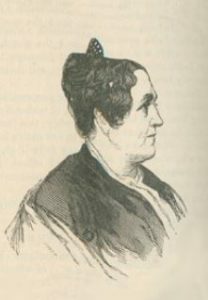 He married Susanna Wagner or Waggoner and had two issue with her: Thomas and Jean (Holt). His son Thomas was born in Kentucky in 1813. He married Bethina Nee. He had a son named Hezekiah. Hezekiah Keaton Phelps was born in Camden, Missouri in 1833. He married Julia Anne Lowe and had a son named John. John Mansville Phelps was born in Canton, Lewis, Missouri in 1866. He married Mary Tennessee Perry and had a son with her named Clyde. Clyde Phelps was born in the same town in 1898. He married Mildred Polly Reeds and had a son with her named Robert Lee. This Robert Lee Phelps was born in 1928 in Rock Port, Missouri. He married Effie Margaret McKenzie. He had sons including one named David Clyde Phelps. He died in 2011 in Nebraska. He was a veteran of the Korean War. 1) Christopher Phelps, of Salem, in 1658, married Elizabeth Sharp. 2) Edward Phelps of Newbury, moved to Andover, married Elizabeth, daughter of Robert Adams, had issue named John (born in 1657, killed by Indians at Scarborough in 1677) and others. He died in 1689. 4) Ephraim Phelps of Simsbury, son of Edward. In 1691, he married Mary Jaggers. He died in 1697. 5) George Phelps of Dorchester, a freeman in 1635, moved to Windsor. He married Philbury, daughter of Philip Randall, had issue named Isaac (1638), Abraham (1643), and Joseph (1647). He later married Frances, widow of Thomas Dewey and had the following children with her: Jacob (1650), John (1652), Nathaniel, and more after he moved to Westfield. 6) Henry Phelps of Salem, MA, who came from London, England aboard the Hercules in 1634. In 1652, he married Hannah Bassett, and also married a second time to a daughter of Thomas Tresler. He had a son named John. He may have been a Quaker. 8) John Phelps of Charlestown, with wife Catharine, had a daughter named Catharine in 1659. In some records, the name is recorded as Philps. 9) John Phelps of Salem, MA, likely the son of Henry, married Abigail, had issue named Abigail (1669), John (1671), Henry (1673), Abigail (1678), Samuel (1680), and Hannah (1683). 11) Nicholas Phelps of Salem, 1658, a Quaker, whose wife was censured that year, and in 1661, was fined for misuse of her tongue. 12) Richard Phelps of Dorchester, 1633. 13) Samuel Phelps of Andover, perhaps the son of Edward, in 1682, married Sarah Chandler, had issue named Sarah, Samuel (1684), John (1686), Joseph (1689), Hannah (1691), Henry (1693), Thomas (1695), Elizabeth (1698), Annis (1701), and Deborah (1703). 14) William Phelps of Dorchester, came from Plymouth in 1630 aboard the Mary and John. He is thought to have been from Devonshire, England. He is either the brother or father of George. He had children named William, Samuel, Nathaniel, Joseph, and Sarah. He was a selectman in 1634-1635. He went to Winsor and had issue named Timothy (1639) and Mary (1644). 15) William Phelps of Boston, MA, a mariner by trade, who married Jane, widow of Henry Butterfield, as his second wife. Other settlers in colonial America bearing this surname include Thomas Phelps (Jamestown, Virginia, 1607) and Roger Phelps (Virginia 1714). In Canada, one of the first settlers bearing this last name was William Phelps, born in Crewkerne, Somerset, England around 1593 AD. He came to Massachusetts in 1630 and then to Windsor, Connecticut. He was on the first grand jury in New England and served in the early colonial government. He was a Puritan. In Australia, one of the first settlers with this surname was John Phelps, who came to Adelaide in 1651 aboard the Anglia. In 1854, John Phelps (age 48), along with Thomas, William, and Jane, came to South Australia board the William Hammond. In New Zealand, in 1841, James Phelps, a farmer aged 35 years, along with his wife, Mary Ann, came to Port Nicholson aboard the Lady Nugent. In 1875, Benjamin, Sarah J., and William came to the city of Bluff aboard the Adamant. 1) Argent on a fess azure between 4 lions ramp gules 3 mullets sable. Crest: a lion’s head erased ppr. “By the name of Phelps” and palm branches. Evidently from a water color. Used by descendants of Wm. Phelps of Dorchester, Mass. Amer. Fam. of Hist. Lineage, vol. 1, p. 121. 1) John Jay Phelps of Hackensack, New Jersey. He was born in Paris, France in 1861. He graduated from Yale University in 1883. He joined the US Navy and was a Captain in the US Merchant Marine. In 1888, he married Rose J. Hutchinson, and had two daughters with her: Dorothy and Rose. Arms: Argent, on a fesse azure, between four lions rampant, proper three mullets or. Crest: A fish naiant proper. Motto: Respice finem. He was the son of Honorable William W. Phelps of Englewood, New Jersey, a minister to Germany, and Ellen Sheffield. He was the grandson of John J. Phelps (1810-1869) and the great grandson of Alexander (1769-1802). He descended from William Phelps, who came to America aboard the Mary and John in 1630, from Tewkesbury, England. 1) William Phelps of Dorchester, Massachusetts, came from Somerset, England in 1630. Arms: Argent, a lion rampant sable between six cross-crosslets fitchee gules. Crest: A wolf’s head erased azure. Motto: Veritas sine timore. 2) Mrs. Luis James Phelps of New York, bore the same arms as Sergeant Franics Nichols of Stratford, Connecticut. We have 4 coats of arms for the Phelps surname depicted here. These 4 blazons are from Bernard Burke’s book The General Armory of England, Ireland, and Scotland, which was published in 1848. The bottom of this page contains the blazons, and in many instances contains some historical, geographical, and genealogical about where coat of arms was found and who bore it. For more information on the history of the Phelps family, please see this book. There are hundreds of notable people with the Phelps surname. This page will mention a handful. Famous people with this last name include: 1) Anson Green Phelps (1781-1853) who was an American entrepreneur, businessman, industrialist, and philanthropist born in Simsbury, Connecticut who founded a export/import business and mining company known as Phelps, Dodge, and Co., 2) William Walter Phelps (1839-1894) who was a US Congressman for New Jersey between 1873-1875 and was also US Ambassador to Germany and Austria-Hungary, born in New York City, 3) William Wallace Phelps (1826-1873) who was a member of the U.S. House of Representatives from 1858-1859, born in Oakland County, Michigan, 4) William Preston Phelps, an American landscape painter born in Dublin, New Hampshire, 5) Samuel Shethar Phelps (1793-1855) who was a US Senator for Vermont from 1839-1851 and from 1853-1845, born in Litchfield, Connecticut, 6) Walter P. Phelps Jr. (1831-1878) who was an officer in the Union Army during the American Civil War, born in Hartford, Connecticut, known for commanding the Eastern Iron Brigade, 7) Willard Leroy Phelps (1941) who was the 2Nd Premier of Yukon in 1985 and was previously been a member of the legislative assembly there from 1985-1996, 8) Richard Phelps (1670-1738) who was a famous maker of bells, most for churches, born in Avebury, Wiltshire, England, best known for a bell named “Great Tom” in the steeple of St. Paul’s Cathedral in London, 9) Michael Fred Phelps II (1985) who is an American competitive swimmer who is the most decorated Olympian of all time, born in Baltimore, Maryland, who holds 28 total medals, 23 of which are gold, and 10) Jill Farren Phelps (1950) who is an American TV producer born in New York known for her work on soap operas such as One Life to Live, Guiding Light, General Hospital, and The Young and Restless. Two of the main heraldic symbols depicted within the Phelps Coat of Arms (incorrectly referred to as the Phelps Family Crest or Phelps Family Shield) are the wolf and cross crosslet fitchee, each which have their own unique meaning. No other symbol appearing in heraldry is subject to as much variation as the cross. Mediaeval Europe was a deeply religious and Christian and many of the nobility wanted to show their devotion by adopting the symbol of the cross as part of the arms. Since no two arms could be identical there arose many variants of the cross. The cross crosslet is one of these, having an additional cross bar on each arm. Wade suggests that these additional crossing signify “the fourfold mystery of the Cross”. The final addition fitchee simply means pointed, and indicates that the lower end is pointed, as if it is to be struck into the ground.